Havana should be on everyones bucket list of places to go. It is notorious to be the centre and hub of commotion as well as being the much-loved capital. With over two million inhabitants you will find people here that merge together various cultures and languages, locals are friendly and keen to share their gem of a city with foreigners. Founded by the Spanish in the 16th century Havana has managed to keep a Spanish scene and with tropical weather it is today one of the most loved tourist destinations on the map. 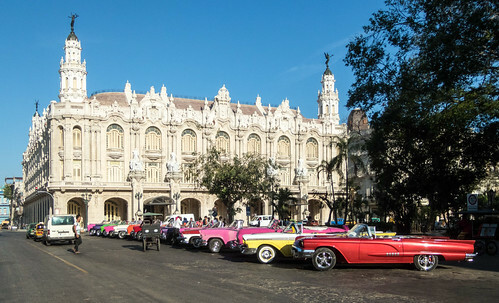 Old Havana is a must see, listed as a world heritage site you won’t be short on history when visiting. Enjoy a breathtaking view in the 35 meter viewing tower as well. If you want something a little romantic then enjoy a walk on the shore at El Malecon. 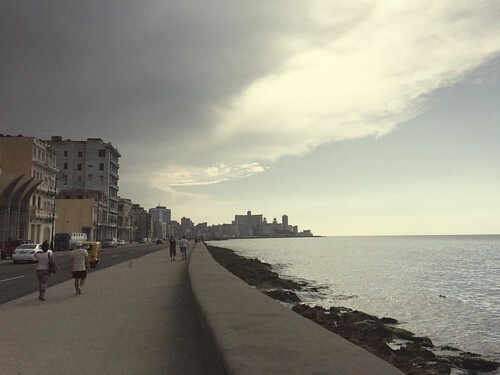 The seafront runs about seven kilometers from Old Havana and leads to the Plaza area. Enjoy many landmarks and monuments while staying in Havana including The Gran Teatro which is one of the largest opera houses in the world. One mustn’t miss the National Museum of Fine Arts either and has an outstanding collection of more than 600 pieces of ancient artwork. When you are staying in Havana there is so much choice and variety of food that you won’t know where to begin. To be able to get a real taste of Havana try roast pork and rice served the Caribbean way which is sold in nearly every eating place around town. Sweet potato is also a favorite and one which is cooked so tender you mouth with water. You will find a lot of stalls and booths selling various sandwiches and take out dishes along with small ice cream parlors. To be able to get the vibe of Havana try a little bit of everything. You won’t need a lot of cash on you because roughly dinner for one with drinks will cost no more than the equivalent of two dollars! Havana is really something cheap and charming. The Cuban community will welcome you with open arms and will be ready to tell you animating stories of their ancestors. Travel around and be sure to visit the rainbow colored markets and the salty surrounding seas. There is so much to see and do that you will be wanting to extend your stay. Apart from rapidly rising as a top holiday destination, Havana is the place to be if you want some beach music, a hearty meal and good company.